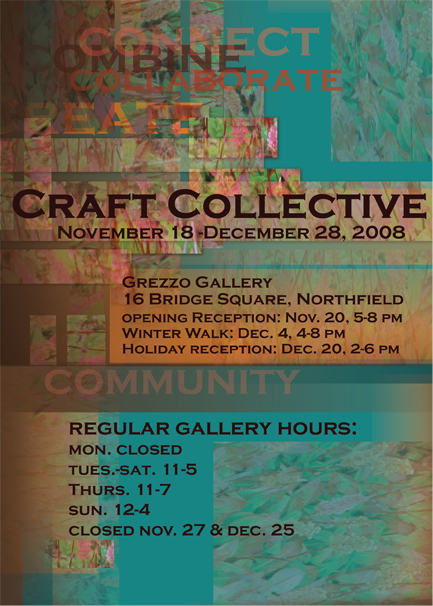 …town and check out the Craft Collective’s Holiday Reception at Grezzo Gallery. Thursday, December 18th, it ChARTdonnay Thursday, 5 to 9 p.m., ArtOnWater Gallery, 217 South Water Street, Karaoke, 9 p.m., Froggy Bottoms, 305 South Water Street, Mark Mraz, The Tavern Lounge, riverside of The Archer House, 212 Division Street, and Scott Bravo, The Contented Cow, 302B Division Street. Friday, December 19th, it’s Karaoke, 9 p.m., The Rueb-N-Stein, 503 Division Street, the Eggmen, The Contented Cow, and Ian Alexy, The Tavern Lounge. Saturday, December 20th, it the Craft Collective Holiday Reception, 2 to 6 p.m., Grezzo Gallery, 16 Bridge Square, the Exhibit Closing Reception, ArtOnWater Gallery, 5 to 9 p.m, Tuition Daddies, 6:30 to 9 p.m., Hogan Brothers, 415 Division Street, DJ Music, 9 p.m., The Rueb-N-Stein, and After October, The Tavern Lounge. Then Sunday, December 21st, it’s Politics and a Pint, 6 p.m., Northern Roots Session, 7:30 p.m., and Quiz Night, 8 p.m., all at The Contented Cow.